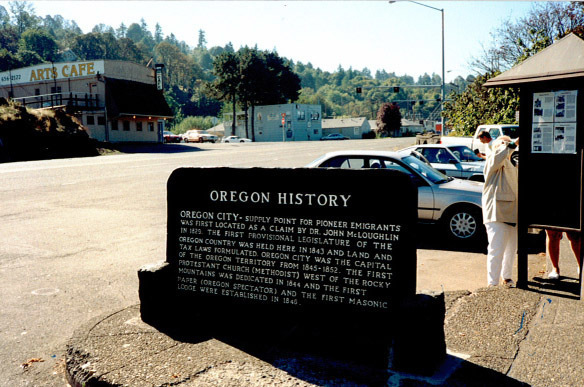 Oregon City – supply point for pioneer emigrants was first located as a claim by Dr. John McLoughlin in 1829. The first provisional legislature of the Oregon Country was held here in 1843 and land and tax laws formulated. 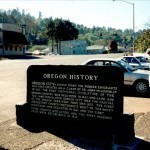 Oregon City was the capital of the Oregon Territory from 1845-1852. The first Protestant church (Methodist) west of the Rocky Mountains was dedicated in 1844 and the first newspaper (Oregon Spectator) and the first Masonic Lodge were established in 1846.